Patients in six American states will have free access to the Evzio naloxone auto-injector which is a medication used for reversing an opioid overdose. This is a very important medication that is available by way of a pilot program since America currently has an opioid epidemic which has been declared a public health emergency. The United States Surgeon General, Dr. Jerome Adams, called for naloxone to be more readily accessible to those individuals who are at risk of overdosing on opioid medications. He also mentioned that friends and family members of such individuals should also be supplied with the naloxone auto-injector to use on the person overdosing on the narcotics. 77 percent of opioid-related deaths occur outside a medical setting with the majority taking place at home. Increased naloxone availability should occur in conjunction with increased access to evidence-based therapies for substance use disorders associated with opioids. According to the Centers for Disease Control and Prevention (CDC), 115 Americans die daily from overdosing on opioid medications. In 2016, more than 42,000 people died from an opioid overdose and this rose to over 66,000 in 2017. This is why having naloxone available, which reverses the effects of opioids, is a very important step in attempting to curb the death rate caused by this crisis. Patients with commercial insurances will be able to receive the naloxone auto-injector without a prescription and without having to pay anything by calling a toll-free number and speaking to a pharmacist. There is no fee for the device because it is available through the pharmaceutical company that developed the product, Kaleo’s, virtual standing order program. The device is then delivered to the individual’s home address once ordered. If a patient doesn’t have government or commercial insurance and whose total income is less than $100,000 annually, Kaleo offers a Patient Assistance Program that makes the device available for free out-of-pocket. Kaleo also says that they plan to extend their pilot program to additional states and hopefully the auto-injecting device will be available to more individuals around the United States to help prevent deaths as a result of opioid overdosing. Pacific Bay Recovery is a drug and alcohol rehabilitation center based in San Diego and they deal with and manage patients who are dependent and addicted to medications and drugs such as the opioids. Inpatient programs for withdrawing patients from the offending drugs as well as psychology, and occupational therapy sessions. Psychiatry consultations for those who have any underlying mental health conditions. Group therapy sessions for patients to help them relate to others with similar issues as themselves. Outpatient programs for those who are assessed as being able to benefit from such a service. The healthcare professionals at Pacific Bay Recovery help patients to discontinue using offending drugs in order to reduce health-related complications that may occur as a result of opioid use and to improve their social and occupational situations at home and at work. Around the end of March of this year, 2018, the Illinois Department of Public Health (IDPH) reported that there were 50 cases of severe bleeding linked with the use of synthetic cannabinoids in that state, including two cases where patients died. The synthetic drug which is referred to as fake weed, spice or K2 consists of a combination of hundreds of different chemicals. This makes it very difficult to determine what the user has smoked or consumed. The drug is produced and sold as a cannabinoid product because it acts on the same receptors in the brain as tetrahydrocannabinol (THC) does which is the main active ingredient in cannabis. According to the IDPH, synthetic cannabinoids have unpredictable side effects and can even be life-threatening to the user. The perception around synthetic cannabinoids is that they are a legal and safer alternative to cannabis but many of the products that are available are actually illegal and can cause severe health-related problems. Bleeding from the ears or eyes. Increased menstrual flow in women. In general, synthetic cannabinoids are chemicals that are sprayed on plant material that is dried and these can then be smoked or converted into liquids that can be ‘vaped’ in electronic cigarette devices. In the cases of the patients that suffered from episodes of bleeding, the blood samples taken from them showed that they had warfarin present in their bloodstream. Warfarin is an anticoagulant drug which is used in patients who have an increased propensity for developing blood clots or who are diagnosed with this problem. The medication is used to break up these clots by reducing the clotting factors in the bloodstream. 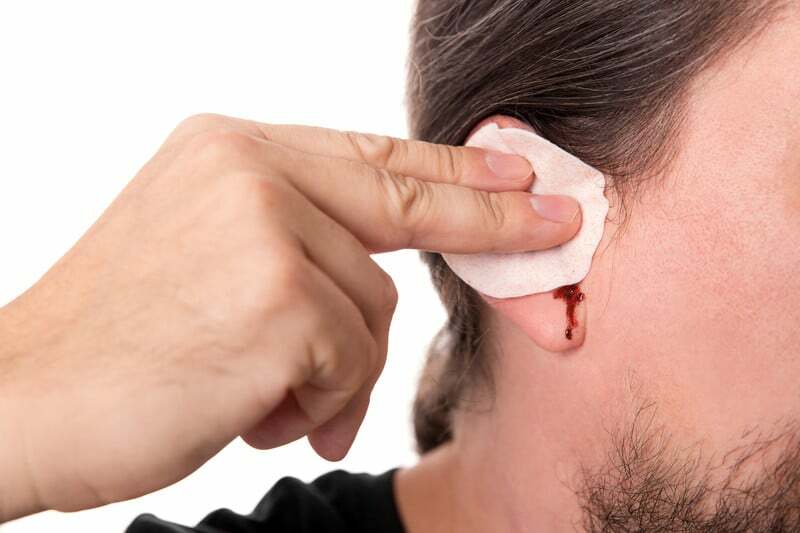 Therefore, individuals who do not have any problems with increased clotting issues will develop a bleeding disorder if they consume or inhale warfarin. Warfarin is also the main ingredient in older versions of rat poison. Pacific Bay Recovery is a top drug and alcohol rehabilitation center that specializes in programs to help patients suffering from substance use disorders. Group therapy sessions for patients to help them relate to others with similar issues as them. The healthcare professionals at Pacific Bay Recovery help patients to discontinue using offending drugs in order to reduce health-related complications that may occur as a result of drug or alcohol use and to improve their social and occupational situations at home and work. A recent CNN report identified a devastating truth about the current opioid epidemic: opioids are now a bigger killer of Americans than cancer. In 2016 there were 42 000 overdoses of opioids (which include codeine, fentanyl, and heroin). Only 41 000 Americans die from breast cancer each year. The news that opioids are a bigger killer than breast cancer is no surprise for some, and much has been made about the national opioid crisis. In October the President Donald Trump announced from the White House that the opioid crisis was a “National Emergency” and needs to be dealt with immediately. Now 31, Cassie has overcome her addiction and says it was an uphill battle, but she is happy she can help people in a similar situation. 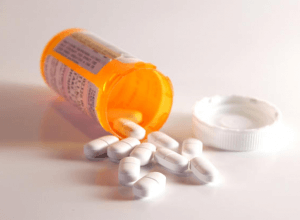 Opiates – Also called narcotics and prescribed for severe or chronic pain. Stimulants – Used to treat attention deficit hyperactivity disorder (ADHD). Sedatives – Benzodiazepines used for sleep and to treat anxiety disorders. It might seem like the landscape is dire, or that there is little hope for thousands of patients with prescription drug addiction from the way news outlets have been reporting the issue. But this isn’t true. With better support and a better understanding of the problem, we can make significant inroads into the problem. A major issue has been the patients who were being prescribed drugs that have the “rug pulled out from under them” so to speak. These patients were taken off prescriptions and had no help to overcome their addiction. The CDC has made this a priority for Doctors, who are now being trained a lot more on how to wean their patients off the drugs. There are also options for patients who do not have a prescription. Specialist rehabilitation services across the united states do fantastic work with both inpatient and outpatient services. They can take patients on an outpatient basis, where they prescribe a number of different drugs that can help wean addicts off the drugs. They also offer inpatient services, where the person stays at a residential facility with staff for a period of time. The clinician in charge of each patient will make a decision as to what treatment is appropriate for the patient. With services like these, the opioid epidemic is sure to pass and patients will be free to live addiction-free lives. Lysergic acid diethylamide (LSD) is sold on the street under names such as Blotter, Dots, Trips, and acid. The designs on the blotter paper also influence the name, such as Purple Dragon. LSD is an odorless, colorless, bitter tasting synthetic drug that has been around since the 1930s. It is a potent hallucinogen and is manufactured from lysergic acid found in ergot (a fungus) on rye and grains. LSD is diluted as a liquid for oral use or produced in a crystalline form that is mixed with excipients. 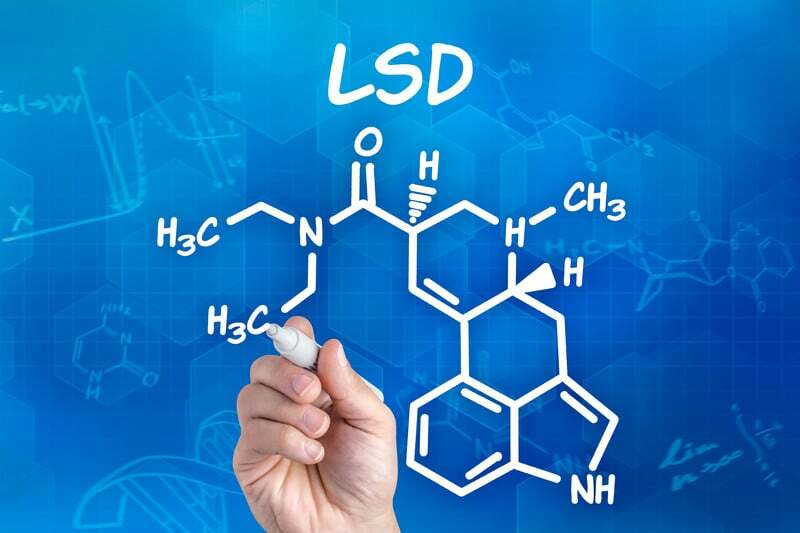 The National Survey on Drug Use and Health (NHSDA) in 2010 estimated that more than 6 percent of surveyed adults ages 18 to 25 used LSD at some point of their lives. This number was down significantly from 16 percent in 2002, however. For youth, the rate of LSD use during the last month is less than 1 percent. LSD is usually taken as a recreational drug, entheogen, or for psychedelic therapy. It has been used by psychiatrists who value the therapeutic effects in the treatment of cluster headaches, alcoholism, to enhance creativity, and for spiritual purposes. Also, LSD can help a patient to “unblock” subconscious repressed memories, leading to benefits in psychotherapy. LSD effects are unpredictable, and use is considered to be an experience or “trip.” When it’s not pleasant, it’s considered a “bad trip,” versus a “good trip” when all goes well. These “trips” can last for up to 12 hours, and the first effects of the drug are experienced approximately 30 to 60 minutes once it is used. The user will have varying emotions, mood swings, extreme changes in mood, impaired depth and time perceptions, and distorted perception regarding movements, shapes, colors, sound, body image, and touch. If taken for an extended period of time, the drug produces hallucinations and delusions. LSD causes physical changes also, such as high body temperature, dilated pupils, sweating, nausea, increased blood sugar, elevated heart rate, high blood pressure, dry mouth, tremors, and sleeplessness. LSD use makes a person lose the ability to make sound judgments and view danger. After using LSD, a person suffers depression and/or anxiety, and may also experience flashbacks, which are re-experiences of the “trip days or months after consuming the last dose. If a flashback suddenly occurs, it is often without warning, and the hallucinogens are more common in a chronic LSD user or those with an underlying personality disorder. Healthy individuals who occasionally use LSD also have flashbacks and bad trips. In addition, LSD produces tolerance, and users need to take larger and larger amounts to achieve a state of intoxication. This, however, is a dangerous way to use LSD, as it is an unpredictable drug. LSD is not seriously addictive, as it does not lead to compulsive drug-seeking behavior. Addiction to hallucinogens is quite a rate but does occur. Because LSD produces a tolerance, some users report that they need to take higher doses each time. Also, LSD is illegal and possessing it leads to disciplinary consequences, fines, and heavy prison sentences. The Psychopharmacologic Drugs Advisory Committee (PDAC) of the Food and Drug Administration (FDA) voted 12 to 6 for the approval of Probuphine implant for treating opioid addiction. Probuphine is the first long-acting subdermal buprenorphine implant that delivers 8 mg or less per day of the drug to the patient. At the recent meeting, doctors presented efficacy data from a recent clinical study confirming Probuphine’s effectiveness as a 6-month maintenance treatment for opioid dependence. Several sensitivity analyses were presented at the meeting, and the FDA evaluated the results that favored Probuphine. In addition, safety findings showed how insertion and removal procedures were safe. Opioids are a class of drugs that include licit prescription pain relievers, as well as the illicit drug heroin. Commonly abused opioids include oxycodone, fentanyl, codeine, hydrocodone, and morphine. Opioids interact with opioid receptors that lie on the nerve cells of the brain tissue. These receptors produce pleasurable effects when activated, relieving pain. Addiction is a chronic, primary, and relapsing brain disease characterized by a person pursuing reward and relief by using substances. Around 21.5 million Americans have a substance use disorder, and of these individuals, almost 2 million use prescription pain relievers. In addition, 586,000 people use heroin, with 23% of these individuals developing an opioid addiction. Drug overdose is now the leading cause of accidental death in the United States. 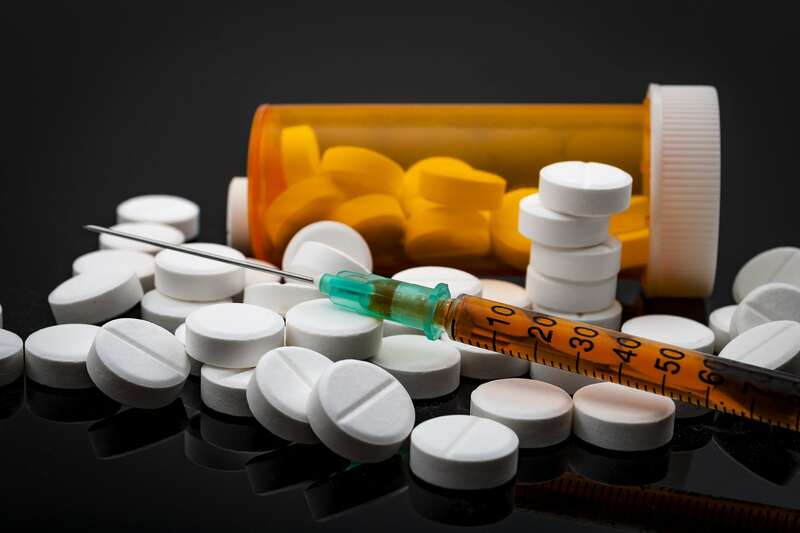 According to recent data, there are around 19,000 overdose deaths related to prescription pain medicines each year, and approximately 10,500 overdose deaths are related to heroin annually. Probuphine offers the best chance of individuals with opioid addiction to reach recovery goals. This new treatment is a real option for millions of patients and their families who suffer from opioid addiction. Probuphine provides maintenance treatment continuously for 6 months, decreases the risk of diversion, eliminates the need to visit the clinic frequently, and improves people’s quality of life. Probuphine is merely a small rod that contains buprenorphine, which is a medication approved by the FDA for opioid addiction. The rod is positioned under the skin of the upper arm in a simple office procedure. The implant delivers a daily dose of medication to the patient without the need for taking pills or injections. 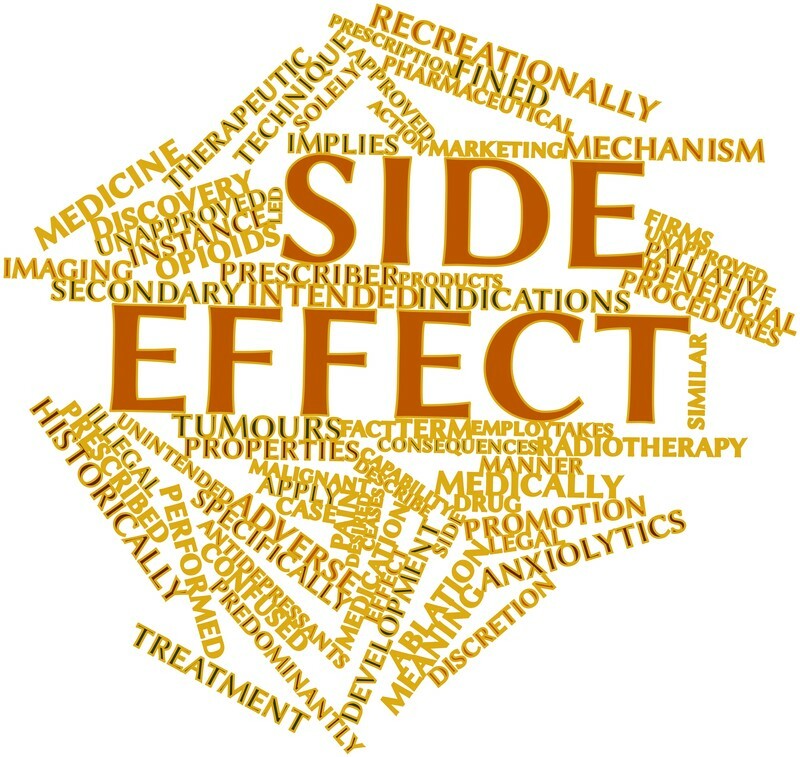 What are the Potential Benefits of Using Buprenorphine? You do not have to worry about taking a pill every day. You will not experience the side effects of Suboxone, such as the awful taste. You won’t have to worry about the medication being stolen, lost, or sold. If you have to go to jail or attend rehab, the implant will continue working, so there is no chance of withdrawal or interruption in treatment. The treatment is more effective than short-term detoxification followed by maintenance medicines. What is involved in the Treatment Program? The Probuphine 6-month implant is used as a part of a complete treatment program that includes psychological support and counseling. Probuphine consists of 4 one-inch-long rods that are implanted beneath the skin of the upper arm. The doctor administering the medication is specially trained for the surgical insertion and removal procedure. The doctor must become certified through the Probuphine Risk Evaluation and Mitigation Strategy (REMS) program. Is the Probuphine Implant Safe? In a recent randomized clinical trial, the safety and efficacy of Probuphine were demonstrated. The participants were adults who met strict clinical criteria for opioid dependence. This was measured using self-reporting illicit opioid use and urine screening. Of the participants, 64% had no evidence of opioid use throughout the six months of evaluation and implant treatment. American Society of Addiction Medicine (2016). Opioid Addiction. Food and Drug Administration (2016). FDA approves first buprenorphine implant for treatment of opioid dependence. Rural America is the heartland of our great country. In rural America, you have coal mining, corn fields, cattle ranches, vegetable farms, steel mill work, and now, prescription drug addiction. 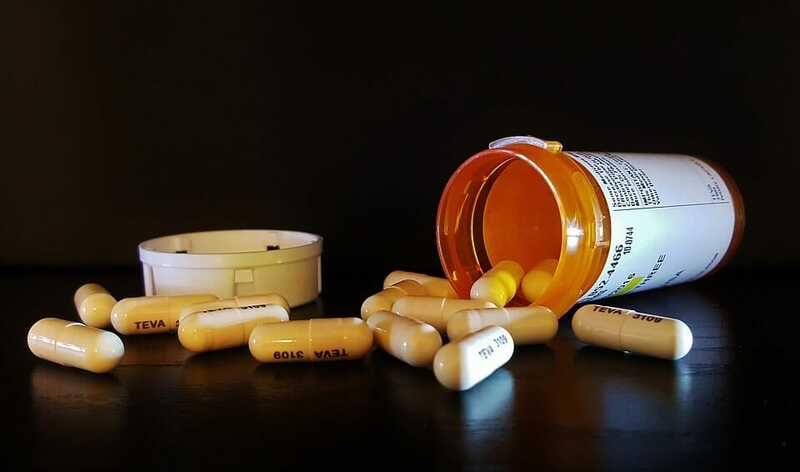 According to the National Institute on Drug Abuse (NIDA), rural America is being hit hard with prescription drug addiction, with an estimated 2.1 million people suffering from some type of prescription drug abuse and addiction in 2012 alone. The National Institutes of Health reports that prescription drug addiction has been plaguing rural America for the last 2 decades. The abuse to heroin and prescription pain relievers affects 36 million people worldwide. The number of unintentional overdose deaths has soared in the U.S., thanks to prescription drugs. Based on data from NIDA, the number of overdose deaths has quadrupled in the last 15 years, since OxyContin burst on the scene in 1998. To address the complex problem of prescription opioid abuse in the U.S., researchers analyzed the special characteristics of this phenomenon. NIDA evaluated the negative and growing impact of prescription drug abuse on health and mortality, but also assessed the fundamental role played by prescription opioids in healing and relieving human suffering. Prescription opioids fall into one of three broad categories, with the other prescription drugs abused being central nervous system depressants (Xanax, Valium, and Klonopin) and stimulants (Adderall, Concerta, and Ritalin). The total number of opioid painkillers prescribed in the U.S. have increased over the last 25 years. In 1991, only 76 million prescriptions of hydrocodone and oxycodone were written. Zoom in to 2015, there were 207 million hydrocodone and oxycodone prescriptions written in America. This accounts for around 90% of the world’s hydrocodone scripts and 81% of oxycodone scripts. Based on data from NIDA, emergency departments (EDs or ERs) are dispensing more prescription pain medicines also. In 2008, the number of visits for nonmedical use of opioid analgesics increased to 306,000 up from 145,000 in 2004 (that’s 156,000 more visits per year).Overdose deaths related to prescription painkillers have tripled in the last two decades, with 16,650 in 2010 alone. By 2002, death certificates listing opioid poisoning as the cause of death were more common than cocaine or heroin. Opioid prescription drugs, as well as stimulants and benzodiazepines, can be crushed and snorted for a faster “high.” Certain pure drugs, like morphine or oxycodone, can be mixed with water and injected into the veins. These drugs are more dangerous when snorted or injected. In addition, the drugs can be combined with alcohol for a stronger, more intense euphoria. Rural Americans have turned visiting the doctor into hillbilly gold, as doctor shopping, obtaining scripts to sell, and visiting random ERs has become a common thing. More than 100 million people have chronic pain in the U.S., but for many of these people, the drugs are stolen, sold, or misused. Experts have long debated the use of prescription opioids for chronic pain relief. Because the problem has become an epidemic, the Center for Disease Control and Prevention (CDC) has developed specific prescribing guidelines for doctors to follow. Pacific Bay Recovery offers top prescription drug rehab in San Diego with success rates that are very high. Most insurance is accepted, call us today! America is “hooked.” Not on soda pop. Not on daytime TV. Not even on phonics. Americans are starting to use prescription narcotics at increased rates, up 400% over the last 10 years. These drugs include painkillers, stimulants, benzodiazepines, and barbiturates. In the U.S., 2,500 youth ages 12 to 17 abuse a prescription pain medicine for the first time. Prescription drug use is more prevalent in the U.S. than other countries. In America, more than 15 million people abuse prescription drugs each year, which is more than all other drugs combined. According to the National Institute on Drug Abuse, in 2015, more than 2.6 million Americans abused prescription drugs for the first time. According to a 2007 survey, 3.3% of 12- to 17-year olds used or abused a prescription drug during the past 30 days. Of those aged 18- to 25-year old, 6% reported using a prescription drug in the past month. Prescription drug abuse also caused a large percentage of deaths in America, based on 2005 statistics. Of the 22,400 drug overdose deaths, 38% were related to opioid painkillers. America is becoming a teenage wasteland, according to statistics from the Center for Disease Control and Prevention (CDC) and the National Institutes of Health (NIH). In 2005, 4,4 million teens in the U.S. admitted to using prescription opioid painkillers. In addition, 2.3 million teens reported that they took a prescription stimulant, such as Adderall or Ritalin. Another 2.2 million youth admitted to abusing over-the-counter cough syrup, many trying it as young as 13 years of age. In a U.S survey, almost 50% of teens reported that they thought prescription drugs were safer than illegal street drugs. 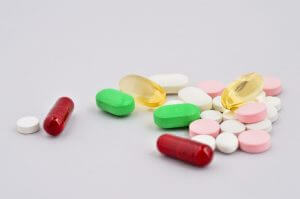 Around 65% of teens surveyed said that they found prescription drugs in their families’ home medicine cabinets. The National Center on Addiction and Substance Abuse at Columbia University found that teens who abuse prescription drugs were twice as likely to drink alcohol, and were five times more likely to smoke marijuana. In addition, teens who start taking prescription drugs are 20 times more likely to turn to heroin, cocaine, and Ecstasy. According to the National Institute on Drug Abuse, opioids, depressants, and antidepressants are responsible for 45% of all overdose deaths. Prescription stimulants and cocaine account for 39% of all overdose deaths in the U.S. Also, in America, the most overdose deaths occur in inner cities in Black neighborhoods, but overdose deaths are on the rise in White rural communities. Of the 1.4 million drug-related hospital ER admissions in 2005, almost 600,000 were associated with prescription narcotics. In 2007, the powerful prescription narcotic fentanyl killed more than 1,000 people, according to the Drug Enforcement Agency. This drug is 50 times more powerful than heroin, and 100 times more deadly. People are stealing it from cancer patients, pharmacies, and hospitals, and chewing the gel lining that is supposed to be time-released when applied to the skin. The number one most commonly abused prescription narcotic is the opioid drugs, such as oxycodone, hydrocodone, morphine, and hydromorphone. These drugs are usually given after a major injury or surgery, but are also prescribed for chronic pain. Another commonly abused prescription drug class is the central nervous system depressants, which are called tranquilizers or sedatives (Xanax, Valium, Seconal, and Neurontin). When taken with alcohol, CNS depressants can lead to overdose deaths due to respiratory depression. In a study conducted at the University of Michigan, hydrocodone (Vicodin) was the top prescription drug abused among high schoolers. This study found that it represented 8% of all drugs used, but stimulants rated at 6.5%. 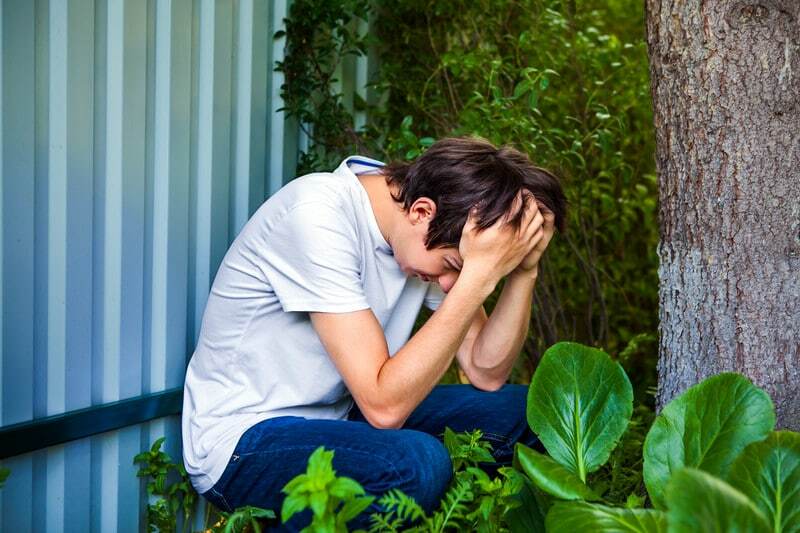 Teens have access to stimulants, because they are often given in this age group for attention deficit disorder (ADD) and attention deficit hyperactivity disorder (ADHD). These drugs, when abused, produced a high, but they also lead to rapid heart rate, high blood pressure, and major anxiety. Pacific Bay Recovery offers first rate treatment for prescription drug abuse at a top notch facility in San Diego. Success rates are impressive, with long term success being over 80%! Call us today for your best option for prescription drug rehab in Southern California. Medical Marijuana: A Safer Solution to Opioids? Drug overdose is a major problem in the United States. Illicit and prescription drug abuse have plagued our country for years, and now, the statistics apply to professional athletes. In a recent survey of more than 150 NFL players, use of chemical opioids was extremely common and encouraged by some league physicians. The addiction qualities of opioid painkillers are basically a Russian Roulette for some pain sufferers, however. Opioids are a class of drugs that include prescription pain relievers and heroin. These drugs act on the opioid receptors in the brain to produce a pleasurable effect along with pain relief. More than 20 million Americans had some type of substance use disorder in 2015, and opioid addiction is causing many overdose deaths. The opioid overdose death rate in 2008 was four times what it was in 1999, and there were 20,000 deaths due to prescription opioids in 2015 alone. According to the 2017 survey involving current and former NFL players, 91% said they had taken an opiate-based pain reliever. In addition, almost half of those surveyed said they felt pressure by teammates, staff, and even team doctors to use a chemical substance for pain. Many players admitted to recreational use of opioids after they first took them by prescription. Opioids are the fastest and strongest form of pain management available to NFL players. The NFL physicians can injection painkillers directly to the affected region for quick pain relief, which permits the player to go right back to the field. These opioids have a laundry list of side effects, however. They can cause dizziness, confusion, nausea, vomiting, and respiratory depression. In addition, they are extremely addictive, with 70% of NFL players reporting being concerned to an unhealthy dependence on the drugs. In 2012, the NFL Players Association had an injury data analysis conducted. They found that there was an increase of 1,302 total injuries from 2010 to 2011. In 2011 alone, there were 4,493 minor injuries in the NFL, which included the start of training camp through the Super Bowl. In addition, there was a 17% increase in moderate injuries, which means the player was out of action for 8-21 days. 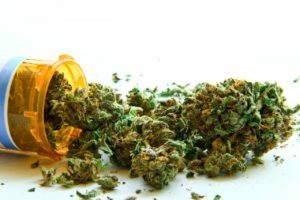 The nation’s largest medical marijuana online marketplace, BudTrader.com, conducted a lengthy study regarding NFL players and opioid addiction potential. The study evolved after the marketplace’s CEO, Brad McLaughlin, was notified of the problem by former NFL player Marvin Washington. According to the report, Washington is an advocated for a safer form of pain management: use of medical marijuana. Washington believes professional football players could benefit from the unique compounds found in marijuana, which protect the brain against pain and inflammation. According to the NFL survey, 89% of NFL players felt that medical marijuana was a safe alternative to treating injury pain. These players said that fewer chemical opioids would be used if they had access to medical marijuana. According to authorities, this would call for major policy reform within the league. The NFLPA plans to make medical cannabis a priority in the future, however. Pacific Bay Recovery offers top rehab in Southern California for prescription and illicit drugs. Success rates are very high and most insurance is accepted, call us today! This is a longer term commitment for those heavily addicted to drug and/ or alcohol who may need more time to get sober from their years of long term abuse of alcohol and drugs. These addicts have developed habits that they need to learn how to break and re-learn new healthy ones to replace them with the assistance from the addiction professionals and counselors in the program to teach you how to stay clean and sober for the long term life recovery. Most all 90 day plans have an inpatient or outpatient program but the inpatient programs have a higher chance of success. Most outpatients plans are designed for the addicted individual who cannot leave there current obligations for this extended amount of time. The longer plan is designed for the recovering drug addict or alcoholic to build a long term foundation for their life being sober. Many that have failed with sobriety and relapsed during the 30 and 60 day plans may choose this plan to continue learning other skills they did not get in the shorter plans like coping, refining social skills, developing meaningful relationships without the addiction. The 90 days treatment begins much like the 30 and 60 day treatments of intense detox, relieving the body of the toxins to bring the person back to the normal levels while getting the unhealthy chemicals out that could take up to two weeks. This is done in a medically supervised environment by professionals to ensure that everyone is safe in case any side effects arise. After detox the rehabilitation begins with individual and group therapy sessions, this will be the communication and sharing the events that one has experienced. This also helps to communicate with others in the same position or maybe further along the treatment program to validate that this is not just happening to the addict. In therapy, an addict will learn new skills to cope with their daily life issues using different types of therapies to help the addict physically and mentally and spiritually. These therapies could be yoga therapy, sometimes this includes learning to have meditation time, yoga therapy helps with the mind and body to a line together. The 90 day plans will have you living on site while going through their treatment plans much like in the 60 day treatment plan. The addict will attend individual and group therapy sessions by trained substance abuse counselors who will teach you the skills of recognizing and dealing with the triggers or situations. Learn how to avoid them and recognize the ones that might lead you to a relapse. 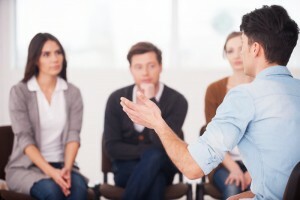 In group therapy sessions you will get support from others with addiction and who are going through the same daily challenges that you are dealing with. This can involve some family sessions where the addict and the family members will learn how to trust each other again. The addict and family members will learn how to express their feelings and thoughts on a healthy level by including them in the recovery process. Most all plans have different approaches but will include many of these method IGT integrated group therapy deals with the addicts that might have two problems one physical like addiction and behavioral like bipolar disordering a group setting. Some will use the 12 step program methods and /or scientific methods. The 90 day treatment plan is the usual plans most addicts choose who are addicted to cocaine, heroin, alcohol, etc. This inpatient plan helps addicts to have hands on time with the medical and therapeutic staff 24 hours a day for 90 days. These addictions did not occur overnight so learning new skills to not fall back into doing drugs or drink alcohol by learning more coping skills to add to their arsenal to live a sober and drug free life takes time, to become a normal skill or decision to choose on a daily basis. 90 days is a lifestyle change. Pacific Bay Recovery offers top treatment for addiction in San Diego, including all types of substance abuse. Whether it’s prescription or illicit drug abuse, or alcohol, the treatment center provides compassionate, effective treatment that works well a vast majority of the time. Call us today for a free consultation to learn more!